Gay Spar is a wonderful spot for any queer and their convenience store needs, but why stop there? Entertainment 17 January, 2019 . Written by Brian Dillon. 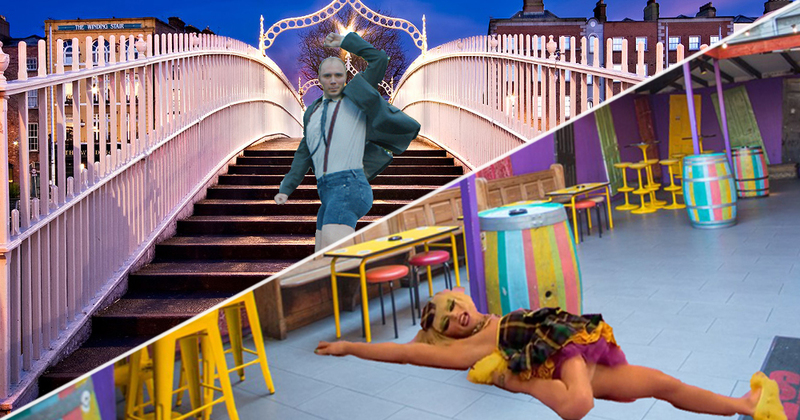 We love Gay Spar, the epicentre of queer culture in Dublin (unbeknownst to the shop itself). But hey, you can never have too much queer in one city, right? Here’s what else we want in the fair city! Within the LGBT+ community, ‘gay’ often refers to homosexual men, but there are so many other wonderful queer folk who deserve a Dublin landmark to call their own. Ergo, Lesbian Londis. We can’t take credit for this one, but how EPIC would this be. It’s marketing gold, really. Instead of your everyday mundane walk down this iconic quay, why not turn it into a strut? We would also settle for ‘Bitchelor’s Walk’, we’re not picky. Ha’penny bridge has been around for a while now. It’s old. Let’s give it a new life. Every time you pass someone on the iconic bridge you have to greet them with “hey hennnyyyyyy”. Out with animal cruelty! In with more drag queens! Let’s all gather to watch an ACTUAL drag race. It’s Ladies Day all year round. We already have millennium walkway, but who’s to say we can’t turn this cute little Italian quarter into a runway?! Get your LIFE passing through this cute little corner of the city. It could even just be one night a week, but Workman’s is where many alt gays love to go for a few pints and about three packets of cigarettes. Why not give them their own LGBT+ night, because we need more of them in the city. And obviously, it would be followed by a trip to Gay Spar. Who doesn’t love a good chipper? A queer chipper?! SIGN ME UP! Salt, vinegar and glitter, please. 17 January, 2019 . Written by Brian Dillon.